One of my favorite zombie women types, are those from the 50’s. Yep, that’s how I roll. Please meet my Pin Up Zombie, Elaine. I made this zombie art from a vintage photo of a 1950’s model. 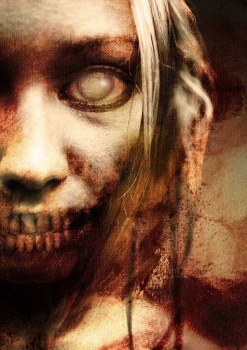 Im in love, you should post more zombie pinups!!!!!!!!! !